When you allow yourself time with nature you feel the strength of your natural connection and YOUR TRUE IDENTITY becomes clear. These words may seem a little abstruse at first this is understandable since for quite some time humanity has been conditioned to ignore the importance of personal energy and yet …. If you are ready to discover the authentic you but feel lost as to where to begin … spend time in nature with your SELF ….. listen …. observe ….. enjoy …. allow yourself to ponder …. and revel in your realisations. There is so much to understand simply BEING in nature. 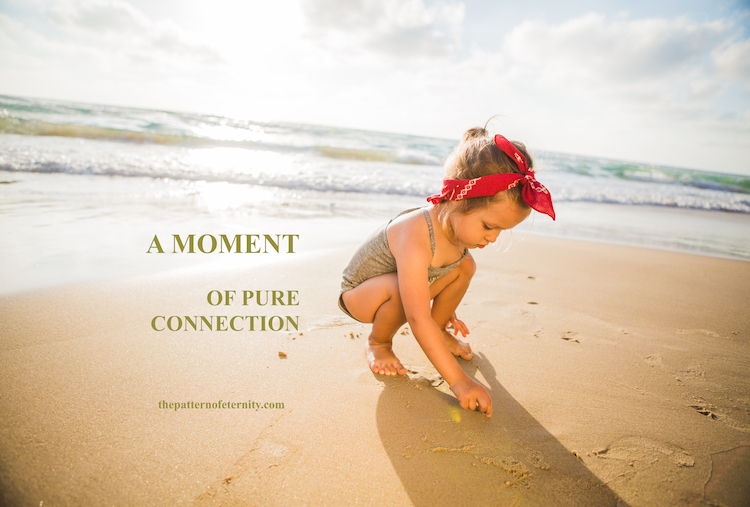 A MOMENT OF PURE CONNECTION ! The Pattern Of Eternity Updates offer a more in depth exploration into …. The UPDATES wil look more closely at why and provide simple techniques to begin recognising how to strengthen and remember your Universal Connection. When we feel life seems to have lost direction or wonder what our purpose in life is all about it is because we temporarily forget our energetic connection. But we can focus again any time we choose. The intent of the UPDATES is to bring light to understanding the importance of RECLAIMING YOU IN THE NEW ENERGY. The UPDATES are a place to begin to explore more on the journey of understanding YOUR TRUE PATH.